Several times in my past posts I have discussed how much I love the PSP Go by Sony. Today I would like to talk about video games and age appropriateness. When I was growing up, there were no ratings for video games and TV shows, or parental warnings on music. I grew up with the original Atari generation. I remember when all we had was Pong, Breakout and Missile Command. Not much to rate there, right? The technological advancement of video games over the last thirty years is absolutely amazing, particularly the graphics. Games look like real life and some are violent, inappropriate, scary, and downright wrong. Yes, I just said that. I was in my early teens when Tipper Gore began her crusade to save the children from all things inappropriate. It was too late for my friends and I; we were already listening to music that would make a parent’s jaw drop and ears bleed. Today is a different story; I am a parent of two and definitely don’t want my kids hearing some of the stuff that I did at an early age. Now It is even worse because it is coming from all directions at all times of the day: TV, radio, internet, movies, video games, you name it. When I was growing up the weekend meant something more than no school. It meant Saturday morning cartoons. Why? Because that was the only day that had a big block of good cartoons and other shows to watch. It just wasn’t available all day at the touch of a button, besides, we didn’t have a button, and we had to get up off the couch, walk to the TV and turn the dial. But I digress. Now it’s 24/7. This means that parents have to be constantly vigilant if they want to monitor what their kids are exposed to. I could discuss all media content, but today I want to stick with video games since I advocate the PSP Go – I will save the rest for another post. When it comes to determining what’s appropriate content for our kids, it’s not cut and dry; there is a lot of grey area. The decisions about what to allow and not allow come down to each individual parent and his/her beliefs and parenting style. I try to find balance. I must admit that I do not stick to the ratings but I do try to stick with the rating “E” (everyone) for my kids. It is sometimes difficult because I have an eight-year-old son and soon-to-be six-year-old daughter and, in all honesty, I think I am more lenient with the content for my son. At any rate, I want to guard them from inappropriate content for as long as I can. They are going to be exposed to everything I want to shield them from eventually, and that’s fine; it’s just part of growing up. I just want to do my best to make sure that they aren’t exposed to it too soon. 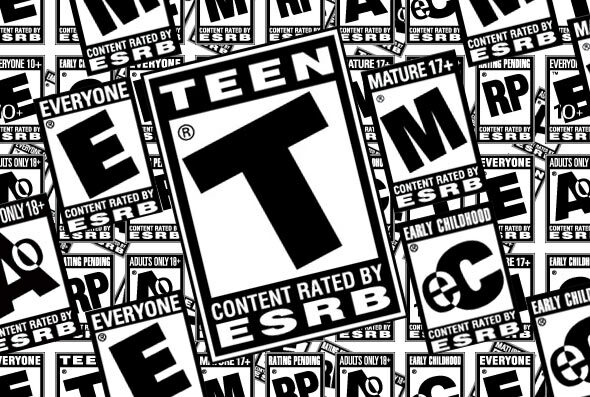 For the ratings above “E,” such as E10+, I view the game and read the warnings to see why it was rated that way. I definitely try to avoid all games beyond that. I have learned some of the higher rated games are not only rated for content, but also require more advanced skills, particularly sports games. However, if the content is ok and the kids have the necessary skills, I will let them play the game; I’m not going to keep them from playing NHL 2010 if they want to play it. The bottom line is that it’s up to the individual parents to decide what is appropriate for their children. I do believe that some parents are too strict and shelter their kids a bit too much, but who am I to judge. Another Easy to win Contest from Go-Go Babyz! As a manufacturer, it is always nice to hear that someone likes your product. We even like to hear that they like it but think something could be done better. It gives us a fresh perspective and helps us improve. The best way to sell our products is when people tell others how easy it has made their life. We always take feedback seriously and this is where you come in. We want to hear what you think, and more importantly, we want others to hear what you think too! That’s right; this is another of our easy-to-win contests. So what do you have to do? Simple as can be. Tell us and others what you thought of our products. Simply leave a brief review of one of our products on our Facebook page below this contest link posting. I said simple right? You don’t have to admit it changed your life, or that you think we should be nominated for a Nobel Prize (doesn’t matter what category they all pay the same prize money) but we do want to hear what you thought. Want to increase your odds? Contestants will receive one additional entry for sharing their review on Facebook, one for tweeting the review, and up to two more for posting the review on a relevant blog or website. That is a total of five possible entries. Don’t own a product? Good News! You can still earn the alternate entries into the drawing by sharing this contest with your FB friends or tweeting this contest. The contest will run until next Monday and as long as we have over 25 unique entries we will draw for our $25.00 Amazon.com gift card! That’s right, last time we fed your caffeine addiction, this time we are encouraging economic stimulation. We are civic minded, what can we say? Want to know what the people you are reading read? Well this week I am going to talk about blogs. The good, the bad, what it’s like to deal with them as well as which ones are our favorites. When I was compiling this little list, I realized there are literally hundreds of thousands of options. It seems there is a blog for every opinion and every school of thought. From trolls and flamers who write just to irk people to helpful and honest reviews there has to be someone out there writing who you would want to read. Before I get into what our favorites are here at Go-Go Babyz, I wanted to talk about a new trend in blogging, the rise of the Mommy Blogger. I get literally dozens of requests a day from mommy bloggers that want to review our products. It’s a bit of a fine line between writing reviews to be helpful and let other parents know what is good, what is useful or just trying to get companies to send you free stuff! We love word of mouth advertising here at Go-Go Babyz, and when we find a good mommy blog we are always excited to hear what they have to say. It is easy to tell up front who, for the most part, is trying to just grab as much free gear as they can. But the average person who doesn’t have to review 15+ sites a day might not. 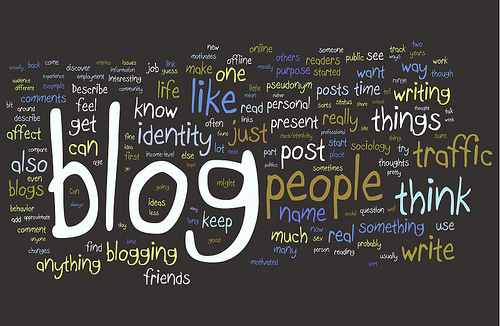 There is a movement among these bloggers about ethical blogging. Meaning they donate all the products they get or make sure you are well aware the company gave them a product in exchange for reviewing it. A lot of blogs (including our own wink wink) giveaway products for stopping by and checking out some of the reviews. It doesn’t just have to be gear for kids and parents either. There is an entire world of reviewers out there and they all give you a chance to learn more about products, win a few freebies and contribute your opinion to the community. www.Daddytypes.com – This one is a great dad blog with links to other happening dads. Good inside news on the biz, new products and a subtle, esoteric knowledge of architecture that makes me think he is better than me. www.Funnyordie.com – Now this isn’t a blog but make sure to check out between 2 ferns with Zach Galifianakis, it always gives us a giggle. www.Mtbr.com – This is of course Kevin’s Mountain Biking obsession in full force. Reviews, deals and discounts on all things extreme. www.bonappetit.com/blogsandforums/blogs/badaily – With both Kevin and I being huge foodies there is no question why we love this collection of food blogs from Bon Appetit. www.hyperboleandahalf.blogspot.com – Social Commentary, funny childhood stories and some really great random musings…..
Bumps, bruises, and scrapes are just part of growing up. What about broken bones, chipped teeth and stitches? Do they have to be? I had my share of injuries growing up, but I didn’t get my first set of stitches until I was in high school and my first broken bone was at age twenty-eight. Last weekend my eight year old son got both a broken finger and stitches. He got to spend hours in the emergency room with Kerry and Auntie Stacey. After that he received another first; a midnight breakfast at Denny’s. Some kids get all the breaks. I remember how cool it was walking onto school grounds with some sign of a great injury; bandages, stitches, slings or casts and, of course, the bigger the better. I always envied the people with casts; they got so much attention; people drew pictures and signed their names on the casts. Anyway, most of my injuries had some sort of cool story; crashed my bike off a ramp trying to clear Jason’s Winnebago, or flew off my skateboard trying to grind on some janky ledge, not chipping my tooth because someone’s ski pole wacked my mouth as we all fell off the lift (you know who you are). The scars the injuries left were signs that we have truly lived. They were, and are, badges of honor. What is my point? My point is that my perspective is a bit different today with my kids. Yes, I still think it is cool after the fact. The stories and scars are definitely cool too. I just don’t like living through it. Notice in the story that Kerry & Auntie Stacey are with Nolan at the ER, not me. I hate hospitals and other people’s blood. I can handle my own injuries, but not my kids’. I freak out and panic and have no idea what to do. This is good and bad. The good news is that I am pretty cautious with them. I drill the idea of safety into their heads. We didn’t need helmets or pads when I was a kid but I make sure Nolan and Davan are suited up for battle. Okay, so I am a little over-the-top with it all, but that is better than being unsafe and irresponsible. The bottom line is that I don’t want my kids to get hurt so I do whatever I have to do to protect them. Maybe it is too much sometimes, but like I said, I would rather be how I am than the other extreme. The bad news is that you don’t want me around if you get hurt. Okay and that I am overprotective. I am getting better, though. 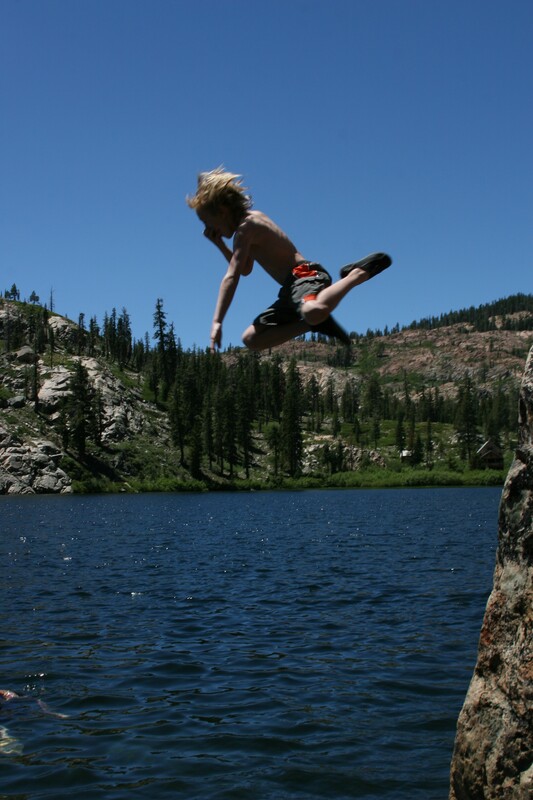 I let them cliff dive over the summer and let Nolan ride down a pretty gnarly trail with me on his bike. That’s progress! How about you? Have any good injury stories growing up? How about your kids? Better yet, how about some good advice for a bonehead like me in these situations? Or, how do you let go and the kids be kids? Thinking back, I really should have done a Labor Day BBQ post before the holiday so we could share tips and recipes. It’s too late now, so I will share some things we did over the weekend. I guess the first thing I should share is that mine is a family of foodies, and we have Sunday dinner together at my parent’s house every week. This weekend the plan was to have dinner at Mom and Dad’s Sunday and at our house Monday. We are the type of family that starts planning the menu for the next Sunday while we are eating Sunday dinner. So our plans for the Labor Day weekend menus started the Sunday prior, and my Dad and I finalized what to cook mid-week. I wanted to do pulled pork on Labor Day, so we had to find something different for him to cook Sunday. We narrowed it down to either a rolled leg of lamb on the spit or a whole BBQ turkey. He went with the turkey and it was amazing! I went with Carolina-style pulled pork and started the process when I got home from dinner Sunday. I am not sharing this play-by-play of our weekend menu planning to make your mouth water; the reason is to tie it in to cooking with the kids. I remember cooking from an early age. The first thing I can remember cooking all on my own was scrambled eggs. I am not sure how old I was, but I remember my little cousin Jonathan and I making them with my Mom—she let us do the making while she offered help and guidance. Today I love to cook & bake. Grilling and BBQ’ing are my favorites ever since watching my Dad and Grandpa cooking on a BBQ as a kid. Every Father’s Day we would cook whatever meat Gramps or Dad wanted. I will never forget the day I took over the reins. My Grandpa bought a bunch of top quality New York Steaks and I got to grill them. I was so excited and nervous at the same time. My family likes rare meat so I didn’t have much room for error. Grandpa just gave me a few words of advice and sat down. Ten minutes later we were all enjoying perfectly grilled steaks in my parent’s backyard. I felt like I had arrived, like I had completed a rite of passage. I had indeed. My kids have the same curiosity and joy for cooking that I had growing up, especially now that I’ve let go of some of my craziness about messes and worry over cooking-related injuries. I took this weekend as an opportunity to engage them in that joy. They were not around for the whole process, but they heard me talking and asked questions, so I explained things like, “what is brining?” I told them what I did the night before while they had a sleepover at Gramma & Papa’s. I started cooking the pork early Monday, and they would let me know when the BBQ smoked too much and when the outside of the pork looked ready. So, I was able to begin their first lesson in true barbequing—well, actually their second. I taught them one of the most important lessons in barbequing the first time they each saw me grilling: always use fire – never, ever gas. A real BBQ’er never uses gas! But I digress . . . So, I taught them about indirect heat, smoking, slow-cooking, and resting meat. The best part about it all, besides eating the delicious food, was that they got to see how excited I am about cooking, and how that excitement was shared by all those lucky enough to partake in the meal! No matter what you grow up to be, cooking is something you can always do. I hope I can pass on what I have learned over the years along with my passion for cooking to my kids. Meals have always brought our family together and I hope to do my part to ensure that it continues to do so for generations to come. What did you have this weekend? Any good recipes to share? How about any childhood memories about meals, family, or food? We would love to hear them. My son Nolan loves sports. Taking after me, he is already a huge Sharks & 49er fan. He loves watching the games with me and attending them whenever he can. He might even have surpassed my obsessiveness with the Sharks; last season—when he was still only seven—I would wake up and find him watching NHL news and highlights on the NHL Network. When the season was over, he would watch past games with On Demand. I am not complaining at all. I couldn’t ask for anything more and I thank my lucky stars that I didn’t end up with the son that just has to like your team’s arch rival! Enough about professional sports; what I want to discuss is recreational sports with kids. 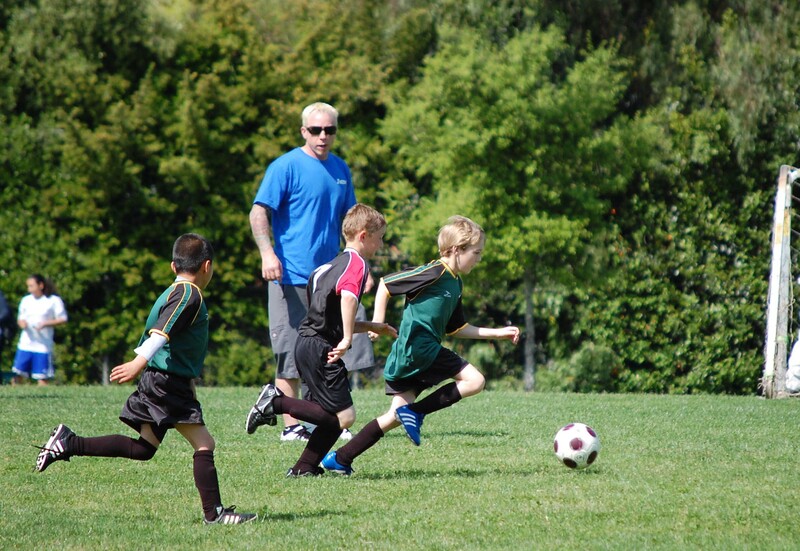 This is the fourth season that I am assistant coach for Nolan’s soccer team. It is a lot of fun. It is also a lot of work. I was very athletic and competitive growing up. I played soccer for many years, earning the MVP title a couple seasons. I can remember how much fun it was and how it felt to win, lose, and receive special awards. In addition, I am very intense and loyal to the pro teams I follow. Put this together and I find myself wanting to create the next soccer superstar with Nolan. I can tend to be harder on him than the other kids at practice, and I realize that is not fair. Being part of the team, I witness how other parents, from our team and others, act with their children, and there are clearly two opposite camps. There are some parents and coaches who constantly yell at the kids, as if they are watching an elimination game in the world cup. Then there are the parents who do not believe in winning and losing; they think that every child’s team is a winner and that everyone should get a trophy. You can probably guess which camp I’m in! That’s right, I lean more toward the competitive side; it’s just in my nature. Since I have been coaching four seasons now, I have learned to balance it out a bit since the last thing I want to do is make Nolan, or the rest of the team, hate soccer. This could trickle into other possible sports they might play. At the same time, I want him to develop and progress as a player and understand that as you move forward in life and sports, everything gets a bit more competitive; sometimes you win, sometimes you lose. Soon enough he will be entering the world of tryouts where there is always the possibility of being a backup who never gets to play, or even being cut from the team. I believe that both extremes are detrimental and harmful to the kids. I already touched on the overly competitive extreme above. Now let me discuss the other extreme. I find this to be a pretty sensitive subject with a lot of parents. It is my opinion that this might even be more harmful. I do not think we do kids any service by making everyone a winner and giving out trophies to everyone whether they win or lose. How does this help them progress or develop as a player? How does this help instill a sense of work ethic and teamwork? What happens in the real world? The better player wins and the others get cut. The players with better work ethics progress further. The kid who is a real team player keeps the job. I understand this is not cut and dry, but it is our job as parents to prepare our children for the “real world.” Not everyone gets a trophy, promotion, special award, or some other special recognition. Life sometimes is tough and competitive. The bottom line is, sometimes we win and sometimes we lose. It is our job as parents to teach and encourage our kids to go out and give it their all so they can be proud of what they did; win or lose. I think this is an important topic because I have noticed a certain attitude in some generations that have come after mine. That is an attitude of entitlement. I have witnessed a large cross-section of today’s society that wants everything handed to them; they don’t want to work for it. Then, on the other side, there are those who only care about themselves and have no work ethic or team skills. I am not saying that the extreme attitudes of parents and recreational sports are the cause, but it all plays a role in the development of our children. Any thoughts or opinions? I would love to hear them.